Restyaboard is a free and open-source Kanban board application. It is the best self-hosted alternative to Trello. It is written in PHP and uses PostgreSQL to store its database. In this tutorial, we will install Restyaboard on CentOS 7 server. Once the installation is finished, you can run the following commands to start nginx and enable it to automatically start at boot time using following commands. Nginx should be running on your server now. Restyaboard supports PHP 7.0, hence we will install PHP 7.0 for maximum security and performance. PHP 7.0 is not available in YUM or EPEL repository, hence we will need to install Webtatic repository for same. Run the following command to install Webtatic repository. Now Install PHP 7.0 with PHP-FPM along with other required modules. Once the installation finishes, we will need to configure few things. By default PHP-FPM is configured to use with Apache, you will need to change the users so that it can work with nginx also. Edit the /etc/php-fpm.d/www.conf file using your favorite text editor. In this tutorial, we will be using nano editor. If you do not have nano installed, you can run yum -y install nano. Now find the following lines and change apache to nginx. Instead of using a server port, we will use a socket file for PHP-FPM. Find the following line. and Change it to the following line. Next, find the following lines. Uncomment the cgi.fix_pathinfo line and change value to 0. Further you will also need to install GeoIP. Run the following command to install GeoIP. Start PHP-FPM and enable it to start at boot time using the following commands. Then restart nginx using the following command. PostgreSQL is an open source Object - relational database management system. Restyaboard uses PostgreSQL to store its database. PostgreSQL is not available in YUM or EPEL repository, you will need to install PostgreSQL repository. To install PostgreSQL run the following command. The above command will install PostgreSQL along with all the required dependencies in your system, before using the software, we will need to run the following command to initialize the database. Once PostgreSQL is installed, it time to configure it. Edit the /var/lib/pgsql/9.6/data/pg_hba.conf to enable MD5 based authentication. Once updated, the configuration should look like shown below. Now change the password for the default PostgreSQL user which was created during the installation of PostgreSQL. Now login using PostgreSQL user using the following command. Now switch to the PostgreSQL shell using the following command. You will see the prompt on the shell has changed to postgres - #. Now run the following query to set a password for the newly created user for Restyaboard database. Make sure to use a semicolon at the end of the query. The above query will ask you for the password of the rb_user twice. Now create a new database for PostgreSQL database using the following query. The above query will create a database named rb_data with UTf8 encoding using template0 and the ownership will be provided to rb_user. Exit from the psql shell to the normal shell user shell of postgres user using the following command. and switch to the root user again using exit command. As we have all the dependencies ready, we can now download Restyaboard. Run the following command to download the ready deployable version. You can always find the link to the latest version on the Restyaboard Github page. Now extract the archive using following commands. If you do not have unzip installed, you can run yum -y install unzip. Once the archive is extracted, import the SQL file using the following command. Now edit the Restyaboard configuration file to update database credentials. Change it according to the database name, username and password of the database we have recently created to store Restyaboard data. Once done, it should look like shown below. Restyboard nginx server block configuration comes packaged with the zip archive. You can copy the configuration file to nginx configuration file location using the following command. Now you will need to make few changes into the file. Open the configuration file using your favorite text editor. At the start of the configuration, find the following line. Remove default_server text and provide your domain name after server name. It should look like as shown below. Change the above line according to the Restyaboard installation folder. It should look like shown below. You can close the file now. Now provide appropriate ownership and permission using the following commands. Finally, add the cron entries to enable scheduled tasks to run using following commands. You can now access the server by going to the following URL. You will see following login screen. Now login using the username admin and password restya. Once you are logged in, you will seethe following screen. 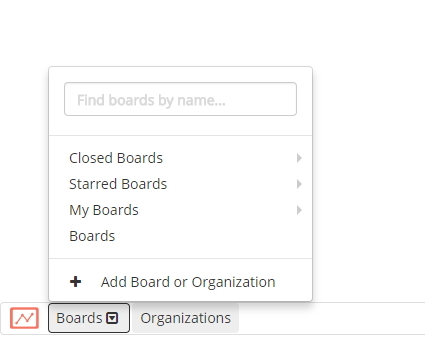 To create a new Board, click on the arrow at the left corner of the page and click on Add Board or Organization. Provide a name and choose a template to create a new board. Once you have created the Board, It will look like shown below. To access the Admin panel, you can click on Admin button at the bottom right corner and then click on Settings on the top bar. 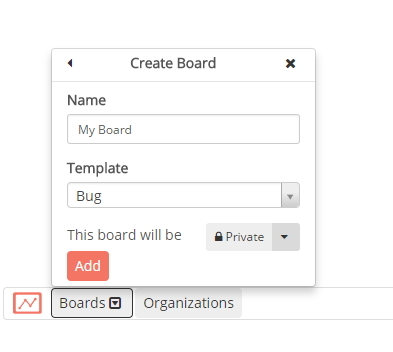 Restyaboard is now installed on your server, you can now use the kanban board to improve the workflow of your project. Installed with no errors until the end. When I navigate to the URL, then nothing shows. Any ideas? Have tried twice installing the above script but at the end I am still unable to open a the webpage. I have an Host-only Adaptor thorugh which I am able to SSH and ping the server but still not successful in getting the webpage displayed. Appreciate your support if you can any, tried your work around of turning it off an on but didn't work.